HE LIVES A LIFE OF OPPULENCE, LIVES EXTRAVAGANTLY IN MALAWI AND SOUTH AFRICA. HE DRIVES FLASHY CARS, LIVES IN COSTLY MANSIONS. 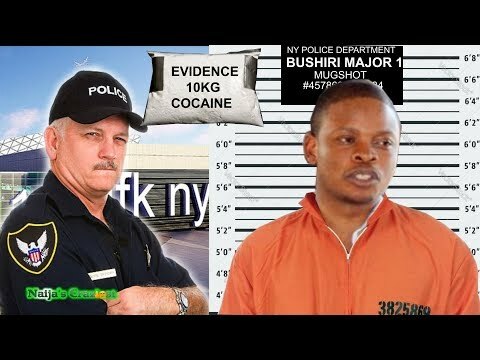 The fall seems to have come for PROPHET SHEPHERD BUSHIRI, founder of Enlightened Christian Gathering Church, ECG, and the Shepherd Bushiri Ministries International who was caught pants down with 10kilogram Cocaine on his bag as he arrived JFK International Airport, New York from Johannesburg, South Africa. This smooth-talking and miracle performing ‘Man-of-God’ decked in a designed suit on arrival at JFK International Airport walked confidently, majestically through the Custom and Border Control, CBD, for immigration clearance, but the with the help of sniffer trained dogs that perceived the ‘drug-smell’ of Cocaine, and the intelligent method applied by the CBD officers, Bushiri was questioned and arrested immediately. At no time did he deny he was not the owner of his own baggage from where the 10 kilogram Cocaine was found. 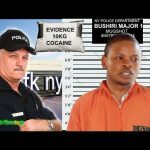 The Malawian prophet Bushiri was promptly apprehended on suspicion of drug trafficking and possession. Eye witness account confirmed that 10kg of cocaine was reportedly found on the baggage carousel on the pastor’s flight from Johannesburg to New York. The bag containing the cocaine reportedly costs $1.5 million in street market value, been that he checked it in from Johannesburg, so identical to a bag carried by most prophets. Certainly, Bushiri is known for his extravagant lifestyle, and was reportedly released on $100,000 bail. As at the time of going to the press, his fingerprints were not found on the cocaine, immediate forensic tests have proved his connection with the Cocaine.